We are in the village of Clapham, just outside Bedford. There is parking for 7 vehicles at the rear of the Church and 2 disabled spots at the front of the premises. There are two entrance ramps to facilitate access to the whole building and a stairlift to give access to the Upper Room. Clapham is off the A6 north of Bedford. 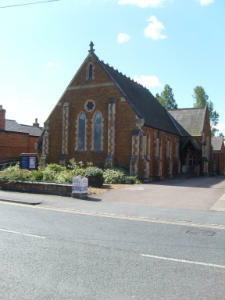 Our Church is in the main High St, just opposite the Post Office and Bellini's Restaurant. The nearest train station is Bedford which is approx. 2 miles from the Church. Buses come from Bedford Bus Station regularly. Numbers 50 and 51.